Stopwatch you’re doing and read this article. An ice-breaker, ladies and gentlemen. 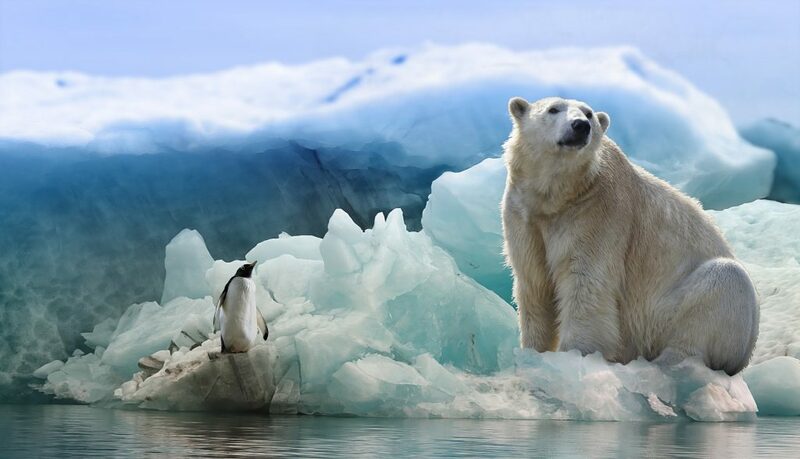 You may be more familiar with, “How much does a polar bear weigh?” (Enough to break the ice.) Or perhaps you’re more used to the classic, “Come here often?” Either way, ice-breakers are a common form of social lubricant that kick off conversations and get people introduced in a friendly, well-known format. Unfortunately, these kinds of light-hearted platitudes don’t translate well in a live chat session context. When it comes to starting the conversation with your online customers, you can’t revert to old jokes and cutesy (live)chat-up lines. You need to be professional but warm; formal but friendly. So, how do live chat agents break the ice without ice-breakers? Here are five best practice tips for polar bear free live chat greetings. The website visitor isn’t tired because they’ve been running through your mind all night. But they’ll quickly get tired of waiting for you to accept their chat request. Remember: no one likes to be kept waiting. This is particularly true of live chat users: the operative word here is ‘live’. So, the first element of effective live chat greetings is to provide them promptly – or you risk missing the opportunity altogether. No matter how great you are during the rest of the support session, it’ll still be an uphill struggle to make up for a visitor’s long wait time. Accepting chat requests quickly is the first step to creating a strong first impression. So, be sure to manage your live chat queues and promptly greet any customers wanting to chat. Your name isn’t Google, and you’re not everything the customer has been searching for. But you can certainly start by giving them your name and offering them your expert help. After all, customers are people, and people like talking to people. Unless the support session incorporates video chat, agents and customers can’t see each other during a chat conversation. This can make the interaction feel impersonal or even robotic. So, introduce yourself and show your human side. By showing agent avatars of the real people running chats, and having agents introduce themselves by name, live chat sessions can avoid feeling mechanical. Your live chat greetings are an opportunity to demonstrate the humans behind the service straight away. A simple introduction, then, is a great online substitute for an ice-breaker. You might have heard the classic: “There’s something wrong with my phone. It doesn’t have your number in it.” Well, there’s something wrong with your live chat conversation if it doesn’t have the customer’s name in it. Personalisation is an easy way to make your live chat greetings shine. In any live chat greeting, you should use the customer’s name – if known. Names will usually be taken care of via a pre-chat survey form. But if you don’t yet know who you’re talking to, be sure to ask the customer what you can call them. By using the customer’s name in your live chat greetings, and not immediately launching into business, you demonstrate to the customer that they’re important. You show that you’re invested in giving them a good, human experience, not just getting them out of the way and moving on the next customer. In the case of a proactive chat invitation, you can also personalise your greeting based on the chat trigger. For example, if the customer had viewed various types of welly boot before you started a chat, you could greet them with an offer on a selection of wellies you’re offering, which may well entice them into a further conversation with you. In short, personalisation is all about making the customer feel a little bit more special, right from the start. Is it hot in here, or is just the warmth of the live chat conversation tone? Corny lines aside, warmth and positivity are key to a successful chat interaction. Chat sessions don’t have the vocal or facial cues that tell customers when you’re being helpful or just facetious. The customer can’t see whether you’re smiling, or whether you have an approachable demeanour. So, a big part of avoiding any potential miscommunication in a chat session relies on positive word choices from the start. This means using positive language, such as ‘great’, ‘awesome’ and ‘happy’ in your live chat greetings. Also, be sure to thank customers for getting in touch. By approaching you with a problem or question, they’re giving you their time and effort, and a chance to convert them or retain them before they look elsewhere. Thanking the customer for reaching out is another great way to strengthen your live chat greetings. Rest assured that it didn’t hurt the live chat user when they fell down from heaven to land on your website. It will hurt you, however, if you fall foul of your brand guidelines during a chat session. Your brand is how customers identify you as trustworthy. Your brand identity, then, needs to be consistent throughout your interactions with customers. When the tone of voice of your live chat messages doesn’t fit with the rest of your brand, it can damage customer trust. If, on the other hand, your brand is more formal or serious, then the language you use should reflect that. A message like: ‘Hello Jordan, my name is Taylor, thanks for getting in touch. How can I help?’ would be more fitting, and better meet the customer’s expectations. You don’t need to know how much a polar bear weighs, but you do need to know how to break the ice smoothly for successful live sessions. Live chat greetings are your conversational ice-breaker – the first impression of the type of service a customer will receive. If your live chat greeting is negative or robotic, it can dampen the entire interaction. Optimising your live chat greetings means starting your interactions as you mean to go on – with a consistent brand identity, and a positive chat tone. Now, why not give your new live chat greetings a try with a 30-day free trial of WhosOn?